Luke is the co-founder of Tribe West Ventures, an entrepreneurial private equity firm that builds innovative businesses in a variety of industries. Tribe West has founded companies in industries including software, consumer products, packaging and medical devices. Luke was formerly COO of Eco-Products where he helped the team grow from a local distributor with 5 employees and under $1M in revenue to a highly profitable industry leader with over $80M in revenue in a 9 year period resulting in an acquisition Waddington North America. Luke also helped Eco-Products raise several million dollars in both venture and angel financing during the company’s growth years. The company was named to the Inc. 5000 fastest growing companies in America list multiple times as well as was ranked the #1 and #3 fastest growing company in Boulder County in 2009 and 2010, respectively. 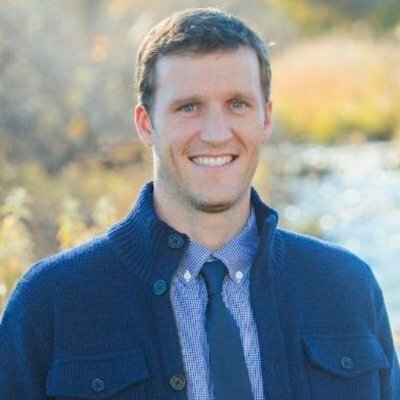 In 2010, Luke founded Luke’s Circle in his spare time to help Boulder/Denver companies find quality job candidates. Luke’s Circle is a network of talented professionals looking for their next great opportunity at local, growing companies. Prior to his current ventures, Luke worked for Deloitte in a business consulting capacity based in New York City. He also founded a soy candle company in his early entrepreneur days which failed miserably and taught him many entrepreneurial lessons. Luke was named to Boulder County’s “40 Under 40” list in 2010. Luke received a BS degree in Industrial & Labor Relations from Cornell University. He has an MBA from the University of Colorado, and he was an Entrepreneurship Fellow at Stanford’s Graduate School of Management. Luke currently advises a handful of startups and loves being involved with the energy of Techstars. He and his family (wife, daughter, son, and dog) live in Boulder and are passionate about traveling, being in the outdoors, and not letting life slip by.